Welcome to ChristianBlessings. You have not come to this blogsite by accident. You have not come to this Contact page by accident. You were wondering about ChristianBlessings and how you might connect with us. Here is your opportunity to get to know us.. we want to bless you. Introduce yourself or give us feedback and tell us how we can do better to bless you. I would love to hear from you today. May I please use your image? I am writing some biblical foundations lessons to teach in my church, and I would very much like to add it in the handouts I will be giving out. Thank you for your consideration. Bill Warren, 321-251-0029, info@weldtechcompany.com. thank you for blogging the Word of God. You encouraged me. Godbless this website. it will grow and God will use you mightily. Welcome Reggie. We are so glad God gives us the opportunity to share His Word and live on ChristianBlessings. We pray you will receive a blessing with each click here. I’m nominating you for the Sunshine Blogger Award. I’m impressed with the work you’ve done on your blog and I feel you should be rewarded. One of my fellow blogger nominated me, and I thought that it would be cool if you’d do it as well ? Thank you Barbie. 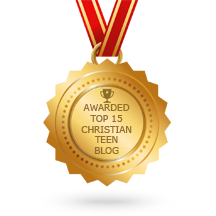 We have not encouraged awards for our blog because it exists for the glory of God. Be blessed – for you and your blog. Could you give me, and our readers a proper interpretation of 1 John 2:1. What is this referring to? 1 John 1:2 My little children, I am writing these things to you so that you may not sin. But if anyone does sin, we have an advocate with the Father, Jesus Christ the righteous. We have an Advocate with the Father; one who has undertaken, and is fully able, to plead in behalf of every one who applies for pardon and salvation in his name, depending on his pleading for them. He is Jesus, the Saviour, and Christ, the Messiah, the Anointed. He alone is the Righteous One, who received his nature pure from sin, and as our Surety perfectly obeyed the law of God, and so fulfilled all righteousness. All men, in every land, and through successive generations, are invited to come to God through this all-sufficient atonement, and by this new and living way. The gospel, when rightly understood and received, sets the heart against all sin, and stops the allowed practice of it; at the same time it gives blessed relief to the wounded consciences of those who have sinned. Thank you for the nomination Pen of the Sheep. As we have a team of Contributors whom God has inspired and anointed we must give glory to God for any success on ChristianBlessings. We praise God for bringing us ( including you) here. You are certainly welcome! Your posts lift me when I need it. May God continue to bless all you guys do! Thank you Jody for visiting our blog site today. Glad you like it and it is our prayer that you will be blessed with every return visit. Thank you for you’re nomination for the Liebster blog award. As you can see we are a group of bloggers who do our best to present God’s blessing to our readers whom The Lord brings. We do not accept blog personal awards. Nevertheless thank you for your nomination. God bless you. I have recently started blogging (May 2013). I think it is awesome that you are doing the same and your loving words are shared with so many! I would love your guidance as to how reach others further with my setyourpathsstraight@wordpress.com blog. It is my desire to serve God by serving others by proclaiming His goodness and character in story form. The scripture, “I will tell of the kindnesses of The Lord, the deeds for which He is praised, according to all The Lord has done for us…” Isaiah 63:7 inspires me to write. Please drop me a line at setyourpathsstraight@gmail.com if you so wish. Thanks. Thank you for your comment . I would love to help. However, you will need to wait a while as I am on a 14 day of Greece and Turkey. Meantime, read more of ChristianBlessings and be blessed. Oh how much fun! Yes, I have enjoyed reading it and will continued to do so. Have fun on your holiday! Thank you. Talk to you later. I just love your site. You are such a blessing to your readers. I have also written a book that I hope will help many people, opening their eyes to the problem of abuse and opening their eyes to the Power of God to save us from our circumstances.. Bless you!!! Thank you secretangel for visiting us and for your comment , They encourage us. Blessings to you with each revisit. It is good to know that the power of God to save is from every situation -praise God including abuse. The Lord bless your ministry. Do provide your site link here for our readers to be blessed. Thank you. We collaborate to bring the good news of Jesus. Thank you so much. My website for Secret Angel Ministry is http://www.secretangelministry.org . It will give you more information about our vision. “The Walking Wounded” release date is not official yet but should be in August. The majority of proceeds will go into Secret Angel Ministry as well as other selected ministries to help victims. No one should be abused… and any victim should have a safe place of refuge. I know that God is calling those of us who have over-come to help others… Thanks for your help! May God bless you!! Yet to go through completely but yes its a nice blog. Thank you for visiting and for your compliment innovateinvestmentbanking. Do return often and be blessed. thanks . May i know what country you are from and what is your name . I will probably add u on gmail. I am from Singapore and use the name ptl2010 on ChristianBlessings for it represents “praise The Lord ” and to remind me that ChristianBlessings was initiated in 2010 for this is the Lord’s site, not mine. thats awsome. So what do you do apart from blogging. Live for Christ in His service – that is full – time wherever He sends. 🙂 are you living for Him too? I love your blog and will be reading more as time allows. Blessings! Thank you. Read more and be blessed!